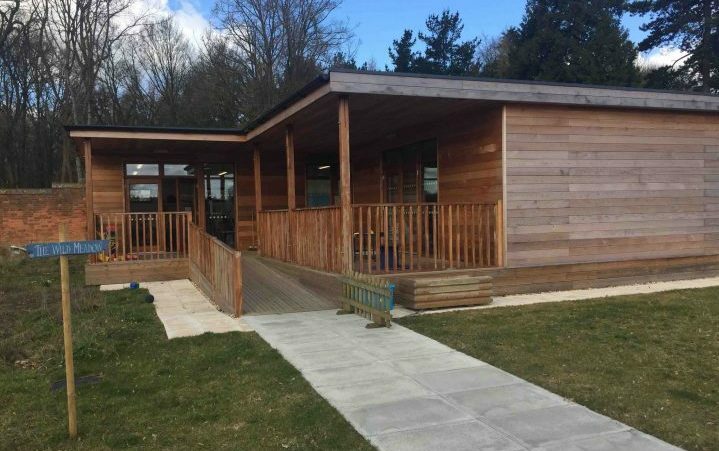 The first nursery to go under the Muddy microscope, Harriet House is the 'It pre-school'in West Berkshire. What? Where? 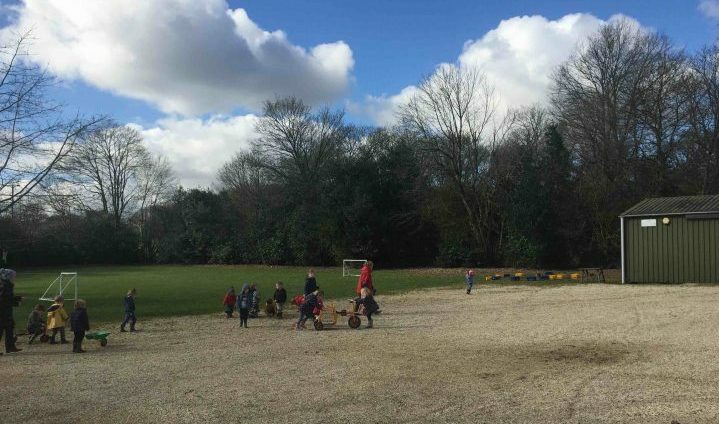 We’re really excited here at Muddy Berkshire, because this is the very first nursery we have ever reviewed for the Muddy Best Schools Guide. 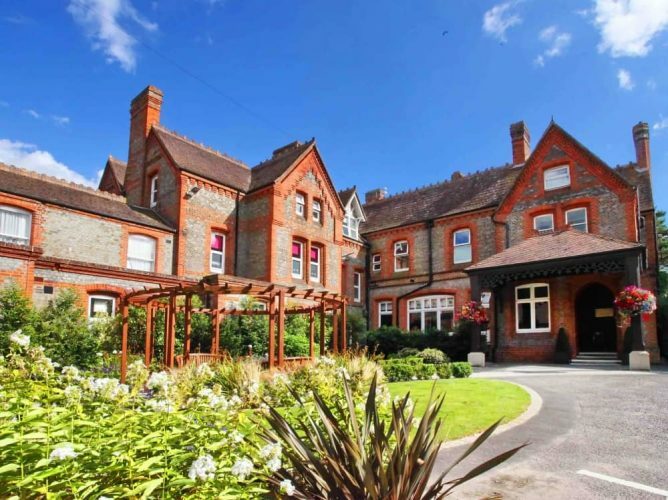 Harriet House is set in a rural location in the village of Frilsham, West Berkshire, close to Newbury and Pangbourne. You’ll find it down a long sweeping drive (impressive, right? ), with grazing sheep and cows in the surrounding fields. It doesn’t get more rural and idyllic than that! 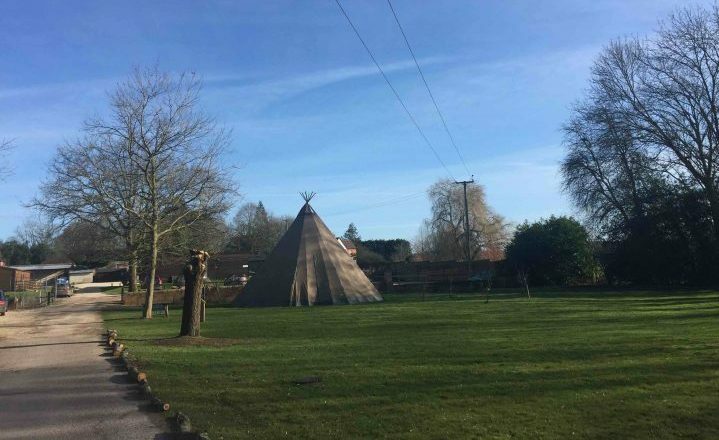 Once you have navigated the livestock and meandered down the looooong road, you eventually arrive at Harriet House – a cluster of wooden buildings, bags of outdoor space and a big teepee classroom occupying a five-acre walled garden on Yattendon Estate. 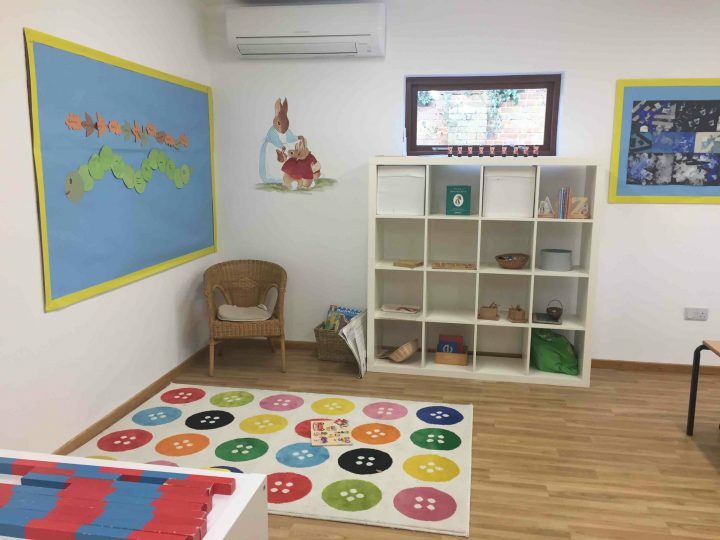 Harriet House is a private Montessori Nursery school for children aged 2-5. The Little House take girls and boys from the age of two, with children moving into the Nursery at three. The ethos of the school is to build on a child’s natural desire to learn through their own interests. 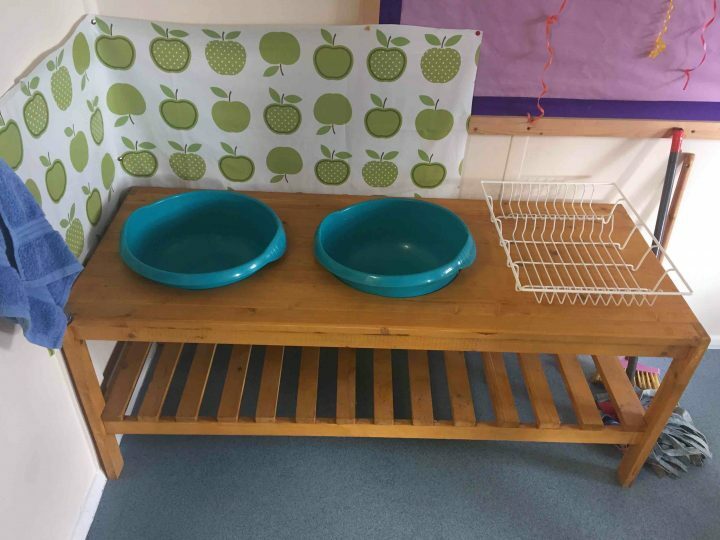 There’s a real ‘have a go’ spirit about the place that underlines the desire to help improve a child’s confidence, independence and self-esteem. If that doesn’t lay the foundations for a new generation of entrepreneurs, creative thinkers, movers and shakers, I don’t know what will. 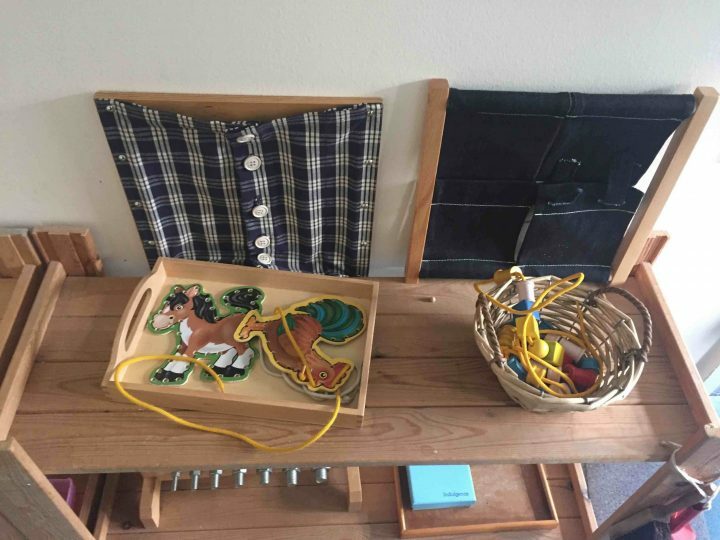 You may have heard of Montessori education, but the details of what that entails might be a bit sketchy (it certainly was for me). 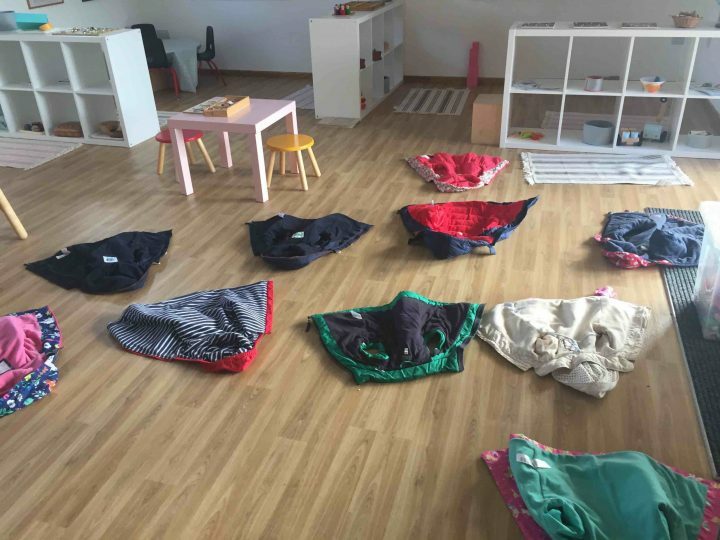 It was pioneered by Maria Montessori, based on the principles that if children are given the freedom to choose, try and do things themselves, then you can tap into their natural capacity to learn. So under the watchful eye and helping hand of a trained teacher, your little ones can go at their own pace, focus on materials and activities they enjoy and become engaged in the learning process. 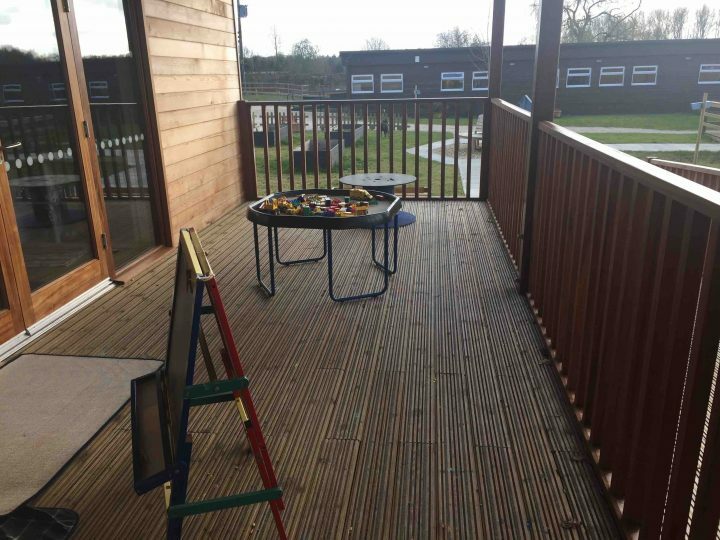 Everything’s set up for the kids to explore, investigate and problem solve whilst offering loads of freedom. The result is lots of super-chuffed kids who continually strive to learn. It’s worth noting Harriet House is big on teaching the children physical and life skills too. 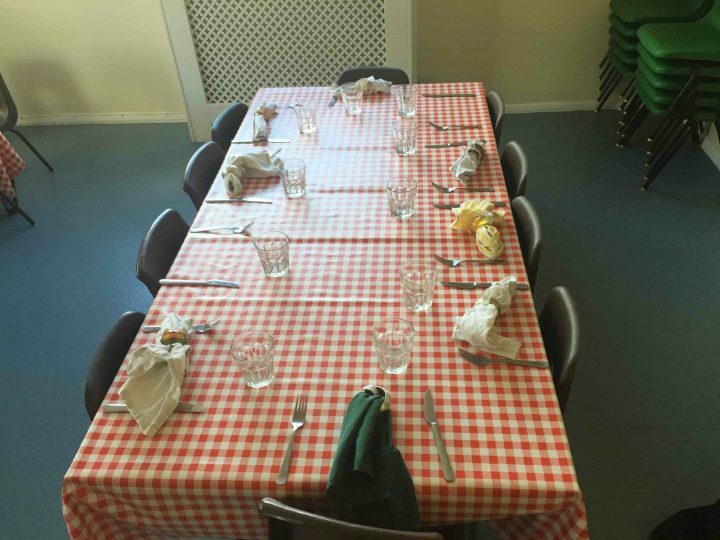 From the brilliant Montessori coat flip (this manoeuvre is something to behold) to polishing their table manners. Grace is said before meals, the kids eat with their teachers and and they wash up their dirty dishes. (It’s all very civilised – you’ll actually be able to eat out as a family without food ending up on the next table. Whoopee!). All the meals are cooked on site too. They smelt lush and if your littlie has any specific dietary requirements, a modified meal will be provided. So no one but you and the cook will know it’s different. What else? Harriet House currently has 61 children on the roll, some moving on to local state primaries like Yattendon C of E, Hampstead Norries and Upper Basildon while others go on to nearby fee-paying prep schools like Elstree, St Andrews, The Manor in Abingdon and Moulsford. The children can attend morning or full day sessions, take part in activities like rugby tots, judo and ballet. There are also lots of opportunities for the parents to hang out too. You can attend a weekly pilates class after drop off, enjoy picnic lunches, dad’s footy matches, barbecues and balls. Ooh, we love a black tie do at Muddy! Facilities: The beauty of Harriet House is its location. So space is one of the biggest plus points. Have a wander and you’ll find the pupils are growing their own veggies in Mr MacGregor’s garden (there’s a bit of Peter Rabbit theme here), a giant teepee is used as an outdoor classroom, there’s a large playground, a playing field for tag rugby, football and other outdoor sports, a dedicated drama shed, another building for ballet and you’ll often see the tiddlers in their high-vis exploring the nearby woods. It’s basically a rural fun factory. If you’re expecting every child to have an iPad, they won’t. Harriet House prides itself in keeping things refreshingly simple. Whether your little one wants to play in the mud and build dens or paint and piece together puzzles, the opportunities are endless to learn from sensory play. Academic results: Obviously there are no exam results to cast your beady eyes over, but Hattie measures success on the nursery’s ability to give children confidence – to perform in front of an audience, try something new, or simply to stride into their ‘big’ school with their heads held high. It’s all about creating independent, confident little people ready for their next adventures. That’s pretty cool. Then the only tears at the school gate will be yours (what a relief). They are also amazing at nailing two of the three Rs. Using the hugely successful ‘Read, Write, Ink’ scheme, many of the kids can read and write by the end of the Reception year. Now that’s impressive. Headteacher: Harriet Hathaway (or Hattie, as she’s known) is one of life’s big characters with teaching in her DNA. Her brother Tom Dawson is Headmaster at Sunningdale in Ascot – a school that was run by their father and his identical twin – Nick and Tim – for 36 years. Hattie’s sisters are all in the family profession too, providing a fantastic support system. But teaching was not her first love. She longed to be an actress, but sadly RADA turned her down. The West End’s loss is our gain. 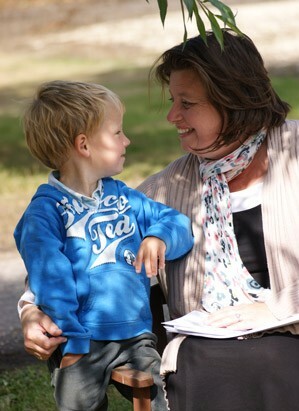 Hattie’s passionate about early years education, is ambitious for the nursery and the children LOVE her. She has lots of plans for the future, for the school and its links with the community. 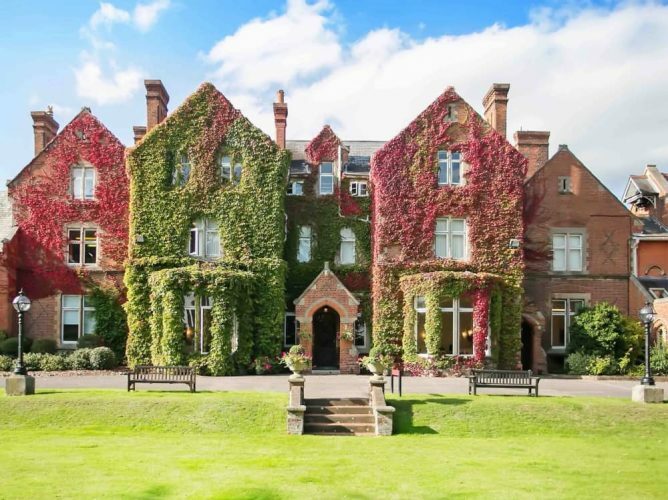 Harriet House hosts an annual literary festival (yup, you heard me right), attracting big authors like Nanette Newman, HRH Princess Michael of Kent and Giles Andreae. The fun doesn’t stop there because she’s also planning an artisan market too. Quirks: Shall we start with Bafta. Hattie’s faithful hound. 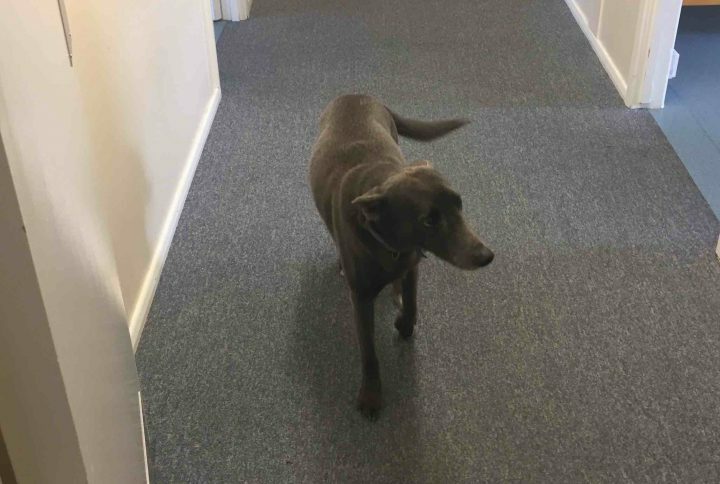 He’s a wonderful addition to the staff (paid in cuddles and dog treats). Although everyone enjoys the novelty of having him bumble about the place, he’s actually brilliant at helping children settle in to life at Harriet House. 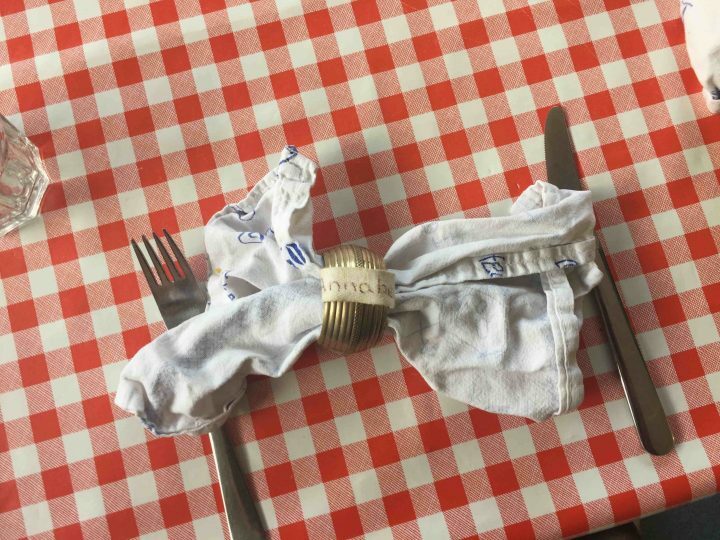 Mealtimes look very much like a French bistro. Checked table cloth, china plates and water glasses (there’s no plastic to be found here), plus a cloth napkin and personalised napkin. It’s incredibly sweet and more civilised than many of the Muddy lunches. Plus all the staff are referred to by their first names with a Miss pre-fix – apart from Mrs Hathaway (another nod to her dramatic side). Ofsted Report: A 2017 Ofsted report recorded Harriet House as Good across the board. It wasn’t awarded Outstanding because the inspector felt the school didn’t give the kids enough opportunities to use technology. Surely that’s a good thing? Let’s be honest, our little tech wizards get plenty of screen time at home. It’s great to know that when they’re at nursery there are so many exciting things to do that it’s blissfully low tech. The report also felt there wasn’t enough precise information provided about new starters to plan effectively. I have to disagree, a home visit takes place from a member of staff to meet the family. There’s no secret service-style interrogation, it’s gentle, nurturing and about settling the children (and often the mums too). There’s often far too much emphasis on paperwork. But the rules are the rules, I guess. Word on the ground: Local mums think it’s amazing! Long before Tatler popped it in its Best Nurseries guide, Harriet House was the ‘It nursery’ for young mums. It has a great reputation for producing well-rounded kids. 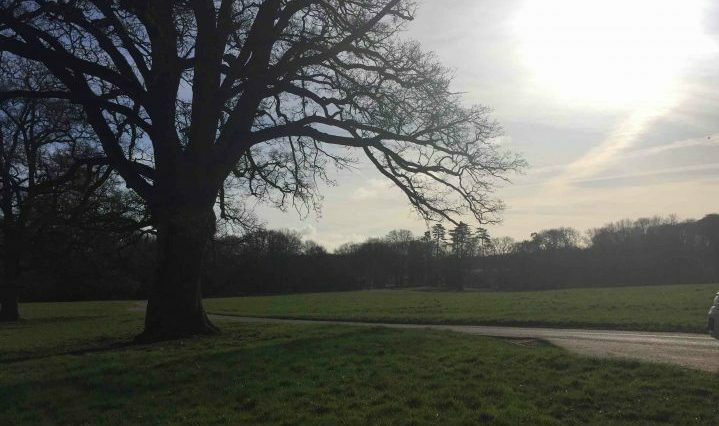 Harriet House mums love the freedom and opportunities the boys and girls have to roam, climb trees, play in the mud and establish great friendships. The parents all get on pretty well too. Fees: The Little House is £30 for a morning session (8.30am-12.15pm) or £55 for a full day including lunch (8.30am-3.15pm). 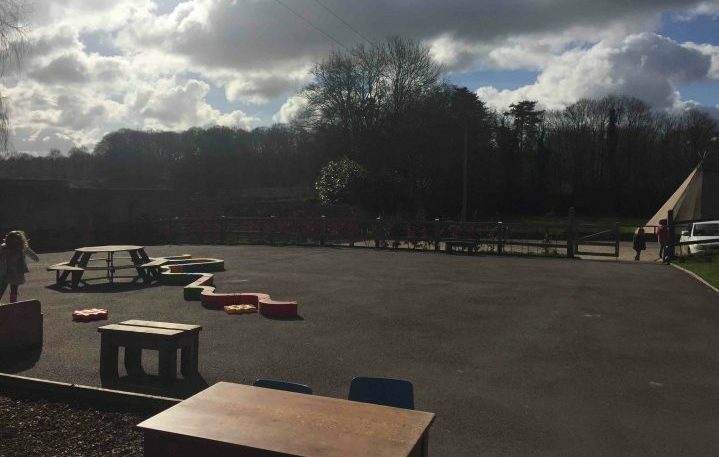 Nursery is £24.20 (8.30am-12.15pm) to £45 including lunch (until 3.30pm). After school care is available until 5.30pm and costs £15. Good for: Kids who love to roam mentally and physically, but with a traditional approach to good manners, kindness and consideration. Not for: Those who want hot-housed kids who become certified child geniuses. 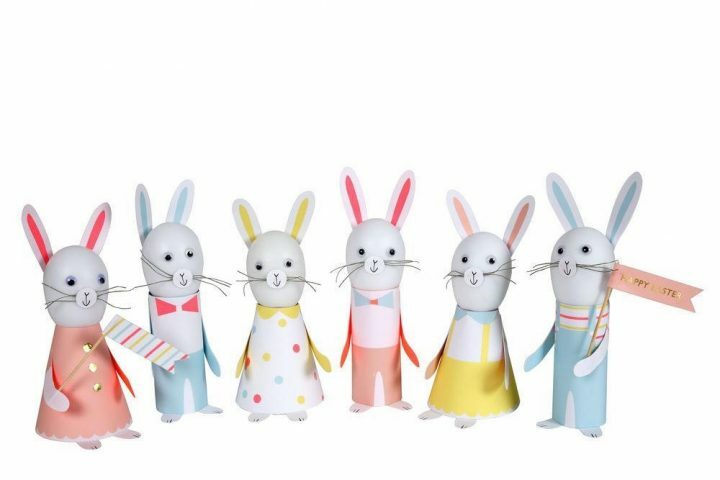 Also if you want your little munchkins to have the latest whizzy bits of kit, Harriet House is not somewhere that jumps on the band wagon or the latest educational trends. Dare to disagree? Have a look for yourself at the open morning on Friday 5 May from 10am to 12 noon, and tell me what you think. Harriet House a wonderful place and so calming for the children. Building confidence and strength in all that they do. Our daughter was a pupil and we were so taken by the school my wife decided to become a teacher there. 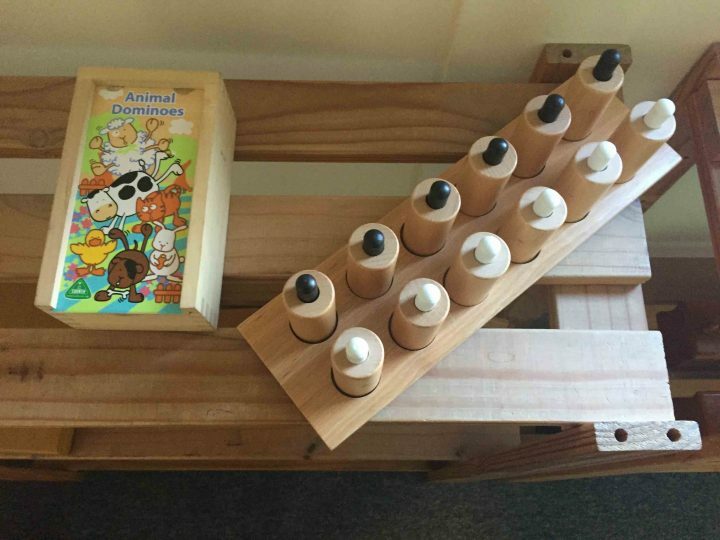 From Public Relations to Montessori. (go go Miss P!!) One of her ideas is the very involving “Grandparents Day”. Any that attend are delighted in the closeness it brings with their grand children. Hattie is an inspiration to the pupils, staff and parents. We are so lucky to have had this on our doorstep. Maybe a little biased but completely justified.